Looking for lodging in the Williamsburg / Busch Gardens area? You’re in the right place! 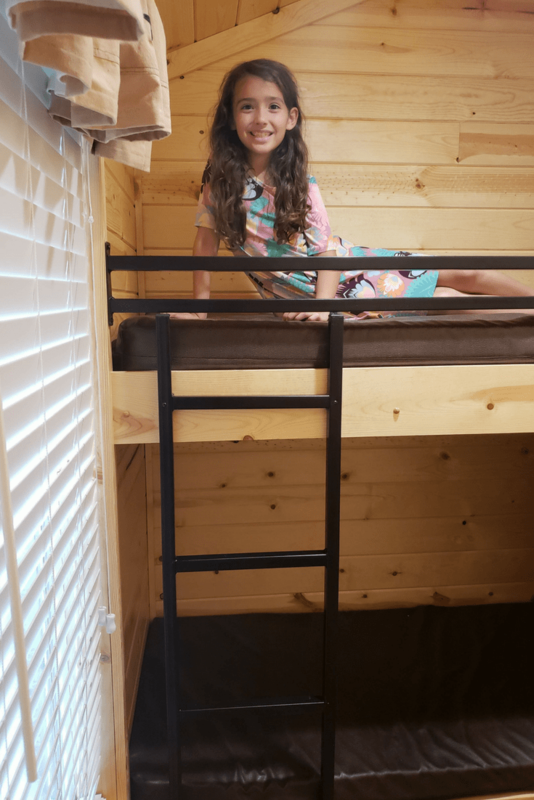 If you have been following my family’s recent vacation itinerary to the Busch Gardens amusement park and to America’s Historic Triangle of Jamestown, Yorktown, and Williamsburg in Virginia, today on Theresa’s Reviews you can see where we stayed! 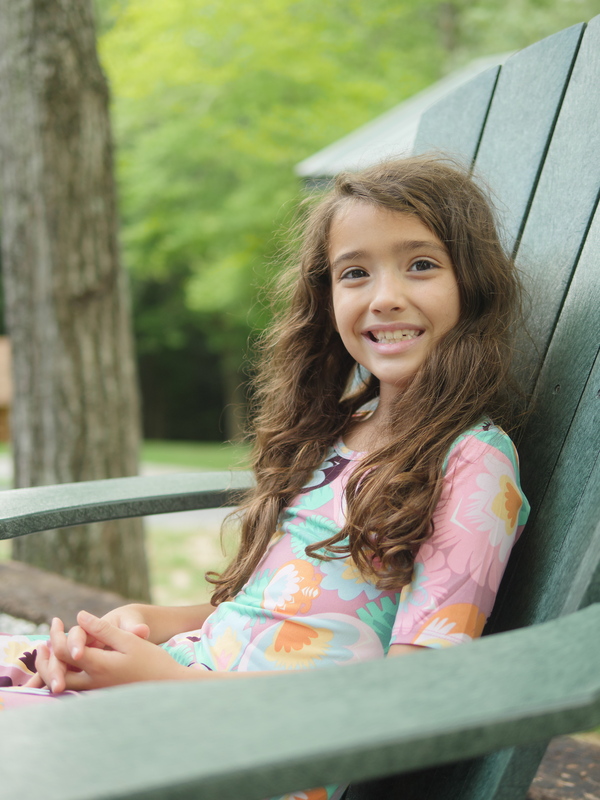 Check out the video below for an overview of our experience camping in a cabin at the Williamsburg / Busch Gardens KOA. Located about 15 minutes away from Colonial Williamsburg, the Williamsburg / Busch Gardens KOA offers a camping experience ideal for families. 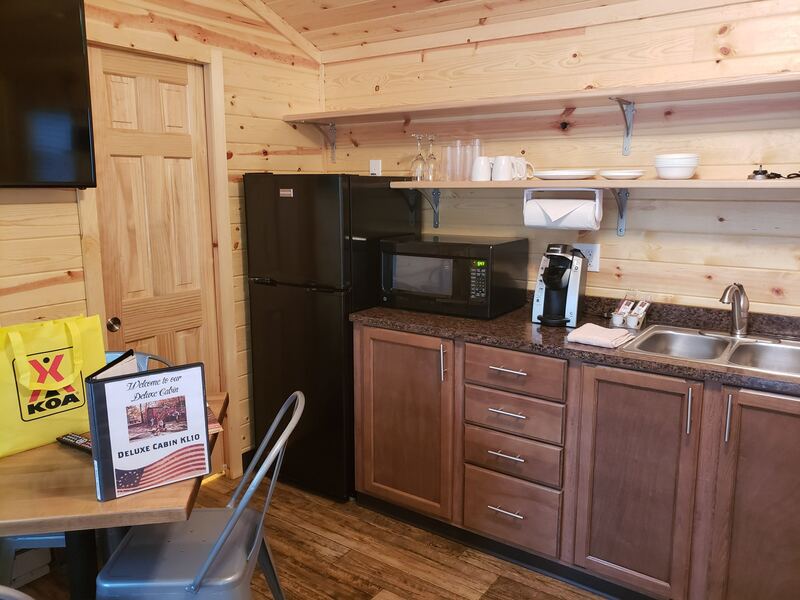 With two bedrooms, cable television, and wifi internet, the cabin was equipped with the luxuries of our home, while also giving us a serene outdoor space for family activities. 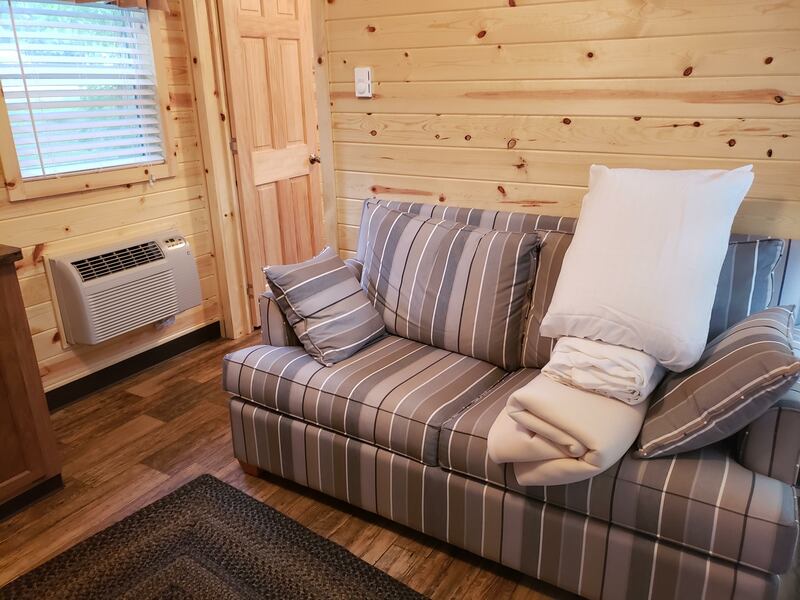 If you are looking for a rustic experience with the comforts of home, a KOA deluxe cabin is the ideal choice. 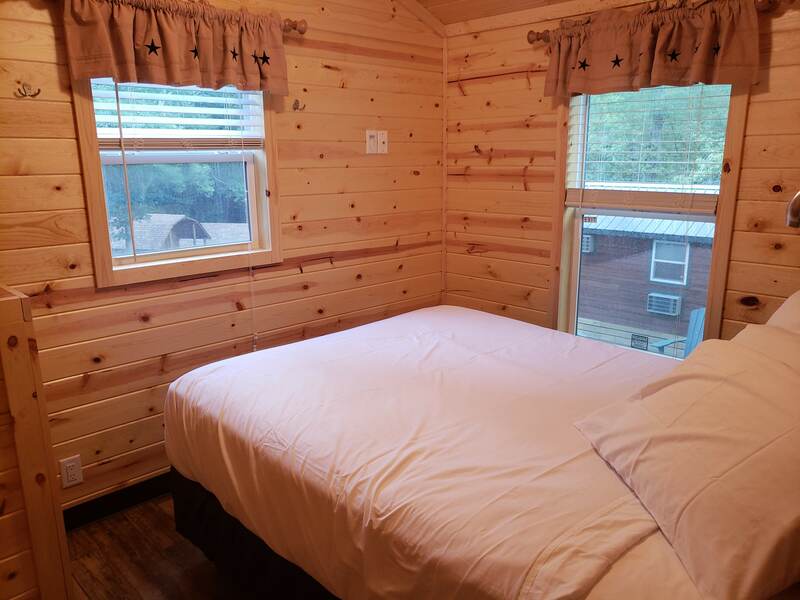 Not only does this cabin come with linens, but it also has a restroom. You can choose pet free cabins to avoid allergens, or get a pet cabin to bring your dog with you on your camping adventure! Outside of our cabin, there was a welcoming wooden bear. My family enjoyed spotting this rustic decor. 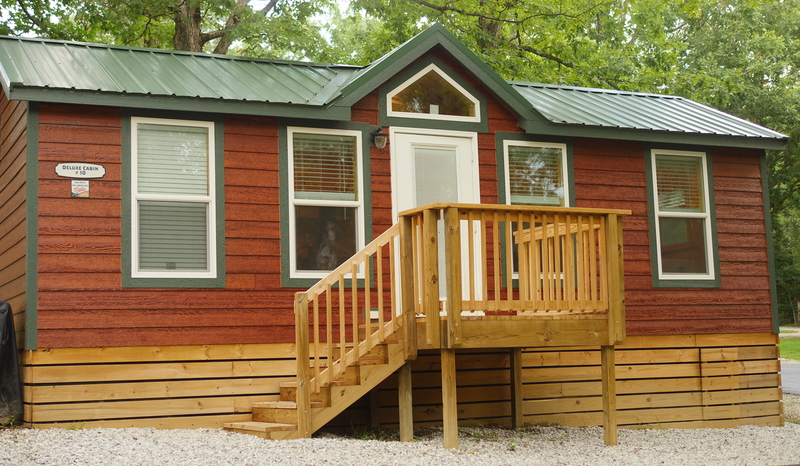 To make the outdoor experience comfortable, the cabin comes with a picnic table, two large chairs, and a fire pit. Although several cabins were nearby, our location felt private. My children were happy to be around nature in the yard of their cabin. From moths fluttering near a light to geckos scurrying nearby, I enjoyed seeing my daughter marvel at the small things in nature. Every morning, she woke up before everyone else to go outside, sit quietly, and observe the world. I would grab a cup of coffee, which I conveniently made with the Keurig, and sit with her. Inside the cabin, the master bedroom had one bed with several pillows and space to store our luggage. Although the room was small, it had everything we needed. To make your visit to Williamsburg affordable, make your meals at the cabin. With a large refrigerator, a microwave, sink, and dishes, you can prepare simple meals, and dine at the four person table that overlooks the big screen television. If you are visiting with six people, pull out the futon bed and make sure to request additional linens. Although we never needed to pull the futon out, it was nice to have it available. For the children, there is a separate bedroom with a bunk bed. My daughters found it exciting to stay in bunk beds for their first time! One of our favorite parts of staying at a cabin was spending more time in nature. We made s’mores and sat around the campfire until everyone was sleepy. 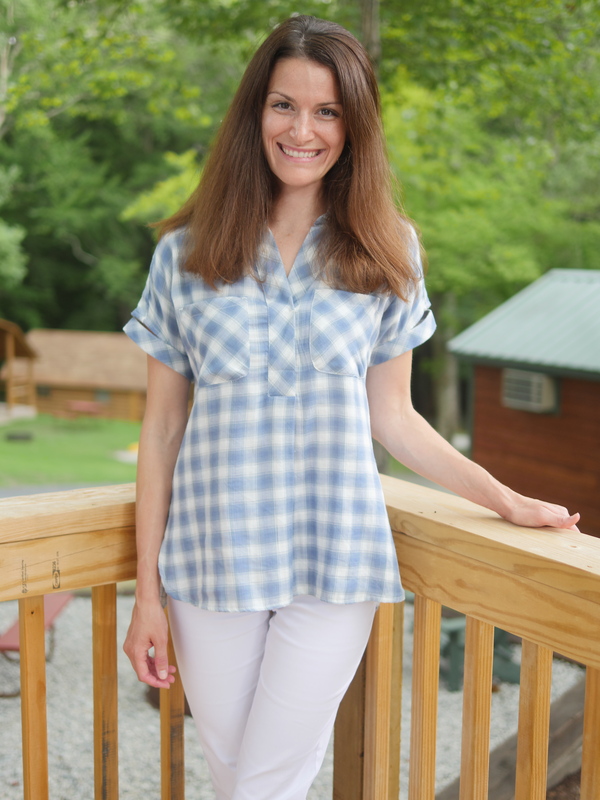 Since Williamsburg is a tourist area, you can find many nice hotels and resorts in the area, but staying at the KOA was a unique experience unlike anything we usually do. Another nice feature of the KOA campground is that you can find plenty of activities for children. 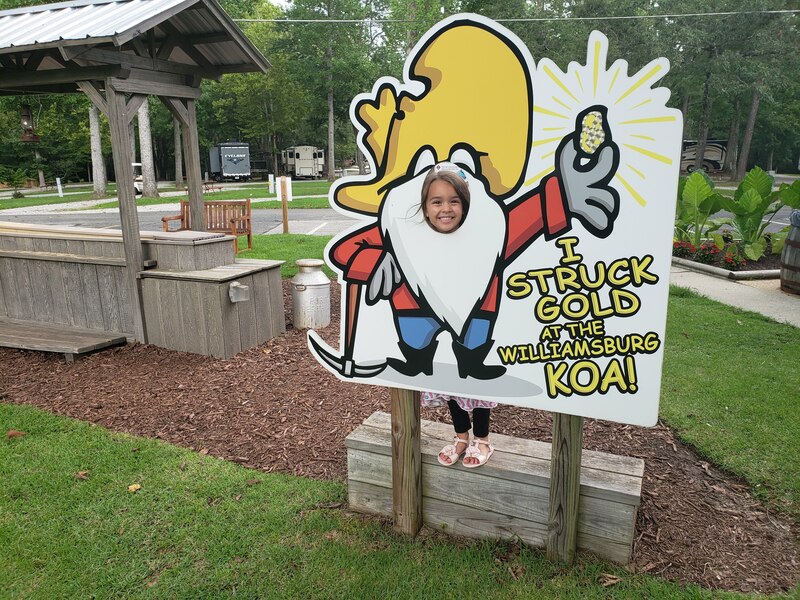 As you enter the KOA, children can take their photo and check out the gold mining station. Nearby, the playground has a thrilling zip line as well as a jumping pillow. Our cabin was also close to a swing set. Even though the Williamsburg area has many family activities, it is nice to have a place within walking distance to keep the children entertained. Looking to cool off? Although there are water parks nearby, the splash pad at the KOA was clean, not crowded, and had a Hershey ice cream shop as well as table tennis nearby. You can also jump in the heated pool to swim and play as a family. With many attractions on our itinerary during our Williamsburg visit, we were very happy that we took the time to slow down and enjoy our time together. For more travel ideas, follow Theresa’s Reviews on Facebook, Twitter, Instagram, Pinterest, and YouTube. What is your favorite part of camping? Share in the comments! Disclosure: I received a free item, but it in no way influenced my opinion. You always do such a great job covering your travel locations. I want to visit here now!! Thank you! Wish we had traveled more this summer!